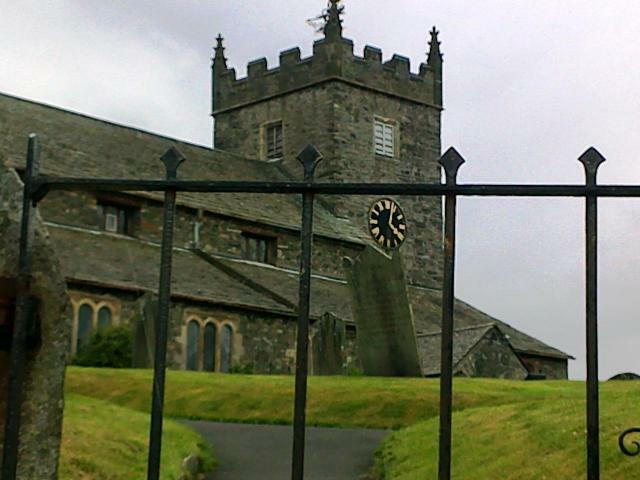 A gate, tombstone and surprisingly modern clock on the cathedral at Hawkshead, Lake District, England. Taken about 4pm in July 2009 on my E71. Posted in Poetry, Quotable, Travel.Tagged death, Hawkeshead, Poetry, time, Wordsworth.